All of these accessories use proprietary 2.4GHz wireless technology instead of Bluetooth, which means you'll need a free USB port to accommodate the accompanying transceiver. The dongle can pair with up to six Logitech peripherals at once, but that's a bummer if you also happen to own gear made by a Microsoft or HP. As you might have guessed, these are compatible with Windows PCs only, though you could use them with Win 7 if you so chose. Look for all three this month, with the Touchpad T650 priced $80, the Touch Mouse at $70 and the T400 at $50. 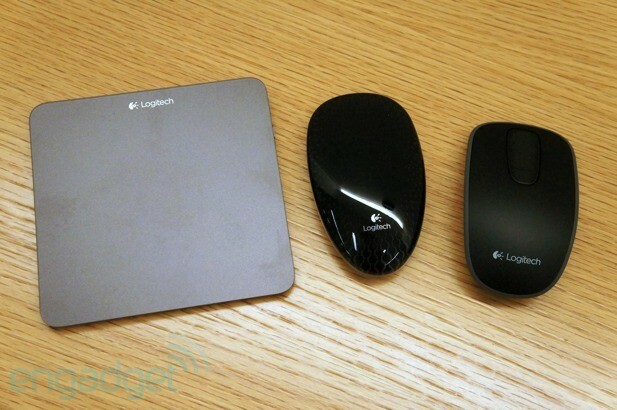 Logitech outs two wireless mice and an external trackpad, all optimized for Windows 8 originally appeared on Engadget on Wed, 10 Oct 2012 04:00:00 EDT. Please see our terms for use of feeds.